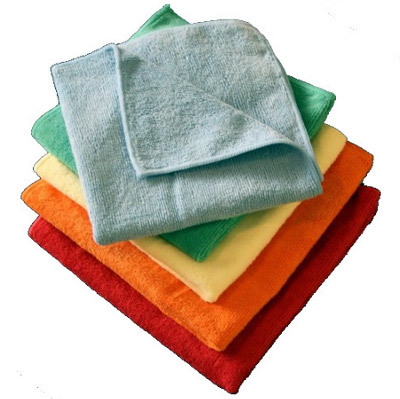 Microfiber is made to look like leather or suede, and is used to make very attractive furniture. Fabrics made with microfibers can repel water and are very soft. For example, many manufacturers make excellent microfiber couches and sofas. Because microfiber is durable and repels water, it it well suited to be used on furniture. It is possible to completely ruin your new microfiber sofa if it isn’t properly taken care of. Microfiber furniture usually comes with a tag. The tag has one of the special microfiber codes that explains how to clean it. Always read the tags. If your furniture came with a care manual, read it. The tag and the manual will generally tell you what cleaning techniques you should or shouldn’t use. The tags will say, W, S, S-W, or X. The tag may be marked with a “W” which means it is okay to use water. S means you have to use a solvent based cleaner, S-W means you can use S or W type cleaners. The most common problems cleaning microfiber furniture comes from people who use water to clean their sofa which often ends with water rings. Always test a small, inconspicuous area of the furniture with the proposed cleaning method first. Never saturate the fabric with whatever cleaning solution you are using and always use it as sparingly as possible. Regular old soap is good at binding to oils, but if it is mixed it with water, it will not evaporate quickly. Find a good microfiber cleaning product that is designed for removing grease and oil by dry cleaning. Use a product like this in small amounts, getting part of the stain out each time, while letting the fabric dry after each application. Another thing to remember, is that Microfiber is Polyester. This means that most things that can be used to clean polyester can be used to clean microfiber such as alcohol or ammonia. Rubbing alcohol or clear alcohol such as vodka can be used. The tools needed to clean the Microfiber furniture consist of a vacuum with soft brush attachment, a gentle soap, such as Woolite or Dove, a clean natural sponge or white towel made of terry cloth, cold water, a soft bristle nailbrush and a hair dryer. The first step is to vacuum using the soft brush attachment to remove loose dust and debris. Sprinkle a small amount of dry detergent on the area to be cleaned, working one section at a time. Mix a few drops of soap with the cold water and dampen and wring out a terrycloth towel or sponge. Gently wash the surface with the dampened towel or sponge, working one section at a time. Immediately upon finishing a section, dry with hair dryer on lowest (coolest) setting. When the area is dry, brush lightly with the nail brush to restore texture. To wash non water safe microfiber material you will need a gentle, dry detergent such as Dreft or Ivory Snow, a vacuum cleaner with soft brush attachment, and optional dry cleaning solution. 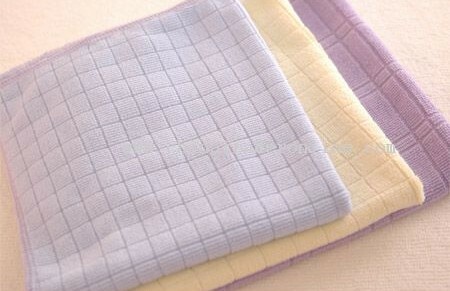 Brush dry detergent into the fabric gently using a soft bristle brush. Vacuum the area completely before moving on to the next section. If this technique does not yield satisfactory results, use a dry cleaning product. Follow the manufacturer’s Instructions for use. When in doubt, do not hesitate to contact a cleaning professional. To remove stains from microfiber there are several techniques that may be used on all types on microfiber furniture. Feel free to try one or more of these techniques, but always test a small, inconspicuous area first before using a proven stain removal method to make sure the microfiber is not damaged. Using a spray can of original Lysol, spray the stain lightly and then blot with a clean cloth. Apply a paste consisting of water and baking soda directly on the stain. After a couple of minutes wipe clean. Blot the stain gently using a soft towel, but be careful not to rub the stain into the fabric. Using a soft white terrycloth towel, gently blot the stain using a little Isopropyl rubbing alcohol. Blot the stain gently using a dampened soft cloth, using a little clear alcohol. Use WD-40, Totally Awesome, or Dawn liquid soap, to remove grease stains and rinse completely after stain is removed. If your fabric does not appear to tolerate any of the stain removal techniques, or for stubborn stains, your furniture retailer or manufacturer may have a cleaning solution suitable for your particular furniture, so be sure to check with them. Otherwise, you should contact a cleaning service specializing in microfiber furniture. In addition, check the care instructions on the tag to see if the fabric on your furniture is washer and dryer safe. If it is, it may be quicker to remove the cushion covers and use the gentle cycle on the washer and use a detergent like Woolite. Tumble dry using the No Heat setting. Clean up liquid spills immediately. To remove odors from microfiber, try putting baking soda over the smelly area and having it soak up any remaining odor or liquid. Products like Febreze can be used, but you have to be careful to only get a fine mist of the product on the furniture, or else there will be dried water marks. Check the care instructions on the tag to see if the fabric on your furniture is washer and dryer safe. If it is, it may be quicker to remove the cushion covers and use the washer set on the gentle cycle. Use a gentle detergent like Woolite. Tumble dry on the No Heat setting. Clean up liquid spills immediately. Do not use a high powered vacuum attachment on microfiber furniture as it may cause permanent damage by wrinkling or pulling the fabric. Even if your furniture is tolerant of water, it is best to use a hair dryer for quick drying of any wet spots to avoid the possibility of water marks. Always keep the dryer on its lowest (coolest) setting. Do not use anything containing acetone, such as nail polish on microfiber furniture. Do not use any product containing bleach on microfiber furniture as it may cause discoloration. Do not use carpet cleaning machines or attachments on microfiber furniture as it may cause the fabric to shrink or wrinkle.